What raw material used for making fabrics is easily renewable? Not, it’s not cotton, although cotton is indeed one of the best materials for that. The answer is, bamboo. These days, everyone knows how fast it grows. That makes it one of the best materials. But what about products made from bamboo? Surely, the fact it’s renewable does not necessarily translate well into other fields? Maybe not, but it does not cancel the fact bamboo fabric is one of the best one in the world. 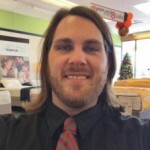 This review will help you to find exactly what you need. The eco-friendliness is the apparent quality. But it also has some other features. First of all, it is highly durable and soft at the same time. Bamboo fabric also stretchy and has a 20% higher breathability than regular cotton. Its mechanical properties, however, are not the greatest advantage such sheets have. For us, ordinary consumers, it’s even more important that it is hypoallergenic, doesn’t irritate or chafe skin, though the latter is far more important for bamboo clothes than sheets. It also absorbs water and unpleasant smells. 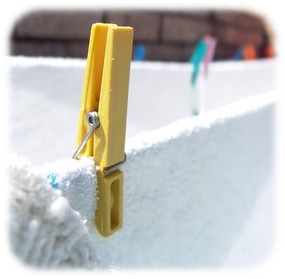 A high-quality bamboo sheet can withstand more than five hundred washings. How to Wash Bamboo Sheets? The simplest advice would be, treat them as if they were silk. But, although simple, such advice is not accurate, as bamboo fabrics have similarities with both silk and cotton. They are comparable with even the best silk sheets. 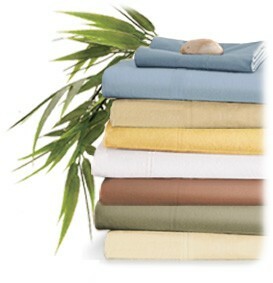 Generally, it is best to wash bamboo sheets on the delicate cycle with water softening agents. Do not bleach or tumble dry them. If the sheet has less than 70% of bamboo, tumble-drying becomes a viable option but don’t overdo it. You can wash it on the regular cycle unless the label says otherwise. Bamboo fabrics are very hygroscopic. That means it takes them far longer to dry after washing. They also shrink after washing, so make sure to take that into account. 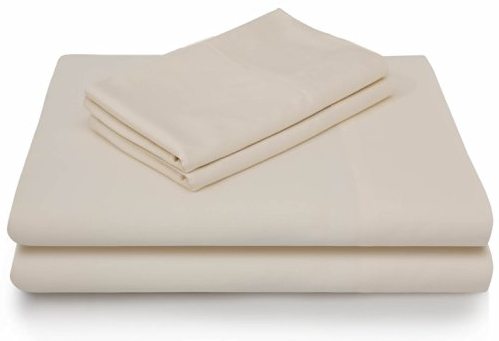 Unlike cotton, bamboo sheets do not wrinkle much, but when they do, you can iron them out fairly easily from the underside. Avoid using sprinklers. Bamboo fabrics can be produced in two ways. One of them involves purely mechanical processing, while the other requires the use of chemicals. When you purchase bamboo sheets, you have to be aware of that. Mechanically processed bamboo, also called bamboo linen, is expensive. One the other hand, it is the most eco-friendly. Sheets made from the fabric of this type are rather hard to come by. Bamboo viscose, also known as bamboo rayon, which is the other type of bamboo fabric, is much easier to access. It is often blended with cotton. Bamboo viscose is highly breathable, just as much hygroscopic as bamboo linen and just as silky. First of all, these sheets are not made from pure bamboo fibers. In fact, it has less bamboo than microfiber. Nevertheless, they are very comfortable, although not very soft. And inexpensive. You’ve probably noticed I’ve said “sheets.” This is, indeed, a set. An extended one at that. How come? Well, it includes a flat sheet, a fitted sheet, and four pillowcases. Either way, due to the large percentage of microfiber, it’s cheap. Despite the high concentration of synthetic fibers, the sheet is breathable and hypoallergenic. It also has thermoregulation properties, which makes it perfect for any climate. A harsh winter or a hot summer, you will be in comfort no matter what. The selection of colors and sizes is rather impressive as well. Unless you think seven colors is not enough, you should be able to find a perfect match for your bedroom. Unless you feel a strong aversion to synthetics, this will make an excellent purchase and give you an opportunity to save some money while getting a luxurious set of sheets. A simple bamboo sheet is preferable to most people, at least, compared to synthetic blends. Fortunately, the MALOUF sheet set is exactly that. That alone makes it perfect for anyone who prefers organic fabrics for their bedding. These are not the cheapest sheets around, but they are not too expensive either. Just as the name suggests, the sheets are made from bamboo rayon. They feel exactly like they should, like something between silk and cotton. They are hypoallergenic, as they should be, and very soft, being smooth at the same time. What’s even better, they suppress odors, which makes them perfect for those who sweat a lot at night. And, perhaps, you will not sweat as much as you used to, as these sheets have thermo-regulating qualities. If you have sensitive skin and your sheets irritate it when you sleep on them, you might consider purchasing them. It would also be a good supplement to a new mattress. Speaking of which, the fitted sheet is suitable for mattresses up to 22 inches in height. Not the most typical feature, that’s for sure. Ten sizes and more than a dozen color schemes. That’s how many varieties you get to choose from. Of course, that should never be the deciding factor, but it’s still important. 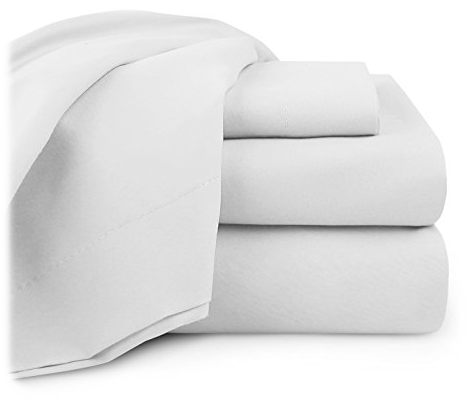 This time, Royal Hotel supplies sheets made from 100% rayon. I wouldn’t say these sheets are perfect for use in hotels. However, they would certainly not look out of place there. As for home use, well, they are more than suitable for to that. Only, remember to wash them I cold water only. Even warm water might ruin these sheets. At the very best, they’ll start developing lint. The thread count is not all that impressive, only three hundred. Given the set’s price, it could be higher. However, that’s what we’re dealing with. It is a good set of sheets, and, as the title claims, they are silky. But they are overpriced. Once you disregard that, it’s hard to find any drawbacks worth mention. If you’re ready to spend enough money to get a dozen cheaper sets on this one, I advise that you do so. That said, there are more affordable options than that. All affordable bamboo fabrics are treated chemically. The only exception is bamboo linen and, like I said, those are hard to come by. However, there are many ways to treat something with chemicals. One can drown the raw materials in them and wait for them to do their magic. 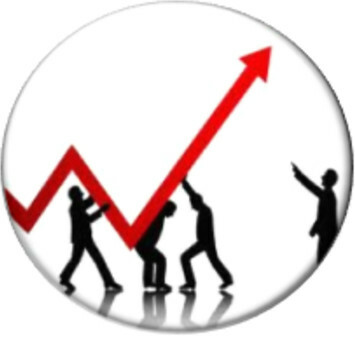 Or, they can carefully and sparingly apply them to the preprocessed buffer stock. That means fewer chemicals and less lingering effects, to the point they are absent. I suppose you understand what I’m going to say. Indeed, these sheets are made in the safer way. Of course, they cost more because of that; there’s that. At least, it’s a set of sheets, rather than a single flat one. By the way, the fitted sheet in the set is fitting for mattresses up to 18 inches. The Cariloha sheets are one of the softest ones one can imagine. They are comfortable, luxurious, warm, but, on the other hand, help you sleep cold. They don’t just absorb odors; the same goes for allergens, which makes them more than merely hypoallergenic. They are actively anti-allergenic. Combined with their hygroscopic qualities, they will make even the hottest summer nights comfortable. Blends of bamboo viscose do not necessarily include synthetic materials. This set of sheets from Royal Hotel is one of those that don’t. Aside from bamboo, they comprise of cotton. The ratio is 60 to 40 respectively so, as you can see, it is a mostly bamboo brand. The thread count is 300. Perhaps, it is not all that impressive for some, yet these sheets still qualify for being called luxurious. This is a rather standard 4-piece set. It includes a couple of pillowcases, a flat sheet and a fitted sheet suitable for mattresses up to 18”. If you want a 100% bamboo sheet, this item is definitely not for you. But do you really want such a sheet? After all, this one is no worse than non-blended bamboo, even better. These luxury sheets are extremely comfortable. 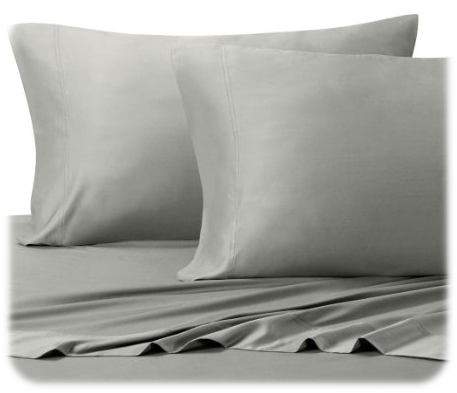 If you have allergies or your skin is sensitive, this set of sheets is what you need. 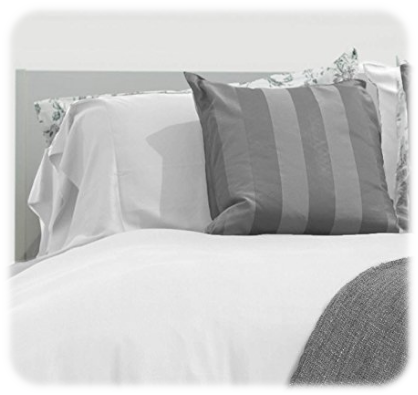 The sheets are resistant to dust mites and also very well suited for any temperature. Even though it’s a blend, I strongly advise against using hot water for washing this set. Only wash it on the delicate cycle. A bamboo sheet is preferable for those who have allergies. The reason for that is that are not merely hypoallergenic as they can reduce the effect of other allergens. That rather convenient if you ask me. Bamboo, or bamboo viscose a least, is cheaper than most other luxury fabrics. At the same time, it can be more expensive than cotton and more expensive than polyester. But don’t let the price deter you. It’s definitely worth the money you’ll have top spend.